This year, for the first time, students' scores on standardized tests will count 15 percent toward their final grades. It sounds straightforward, but how some districts are applying the so-called 15 percent rule threatens to spark the next political battle over a test that has seen plenty of them. 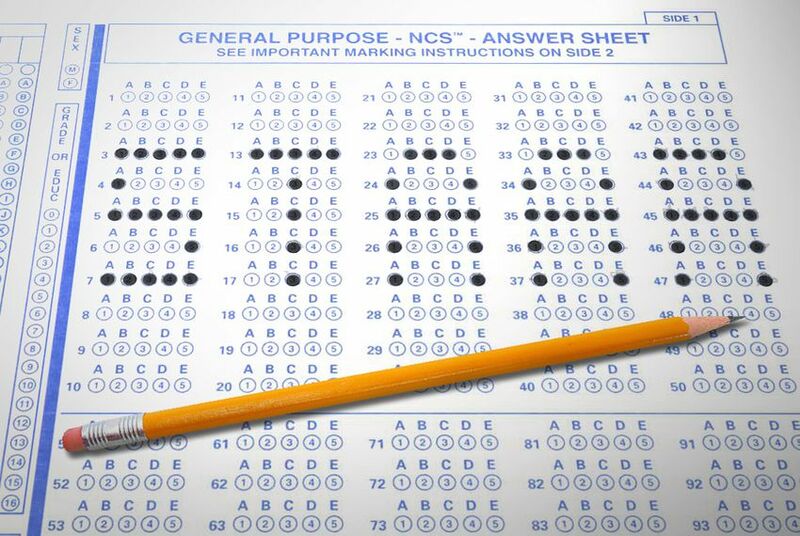 In the spring, the state’s approximately 350,000 ninth-graders will be the first to take the end-of-course exams that are part of Texas’ new standardized testing system known as STAAR, or the State of Texas Assessments of Academic Readiness. The tests, which advocates say provide a much-needed update to the state’s accountability system, will be more rigorous by all accounts. There will also be more of them. And, for the first time, students' scores on the exams will count 15 percent toward their final grades in the corresponding course. It sounds straightforward. But how some districts are applying the so-called 15 percent rule threatens to spark the next political battle over a test that has seen plenty of them. Halfway through the academic year, many schools are still figuring out how their grading policies — and the class ranks and grade-point averages that flow from them — will apply the rule. And because the law leaves the implementation largely in the districts’ hands, they are coming up with a variety of methods — some of which have triggered concerns that they are undermining the system. Schools must determine how to integrate the exams on two levels: converting the raw score, which ranges from 2,000 to 6,000 points, to one they can use as a grade, and then deciding how to factor that grade on one exam into what is usually two semesters’ worth of courses in areas including math, social studies and English. "It's not an easy exercise, and there's been a pretty substantial effort at the local level to explore the possibilities and come down in ways that are reasonable, defensible and respectful of local instruction," said Maria Whitsett, who is following the rollout of the new assessment system for Moak, Casey & Associates, an Austin-based school finance consulting firm. For instance, districts can approach what appears to be the cut-and-dried second step, weighing the exam score into a final grade, in several different ways. Each semester can count toward 42 percent, and the exam can count 15 percent. They can average the grades of each semester, count them toward 85 percent and then factor in the exam for 15 percent. They can take the first semester grade for 85 percent, factor in the exam for 15 percent, do the same with the second semester, and then average those two figures. It gets more complicated with the first step, converting the raw score. Some schools have assigned grades to ranges of points on the exams, giving, for example, a 65 to a student who falls below a certain point, an 85 to a student who scores in the satisfactory to advanced range and a 95 to a student who scores in the advanced range. Whitsett said a few, mainly smaller schools with fewer staffing resources have opted for a simpler method: giving all students that score below a failing range a 69 and all who get above that range a 100. That last approach has alarmed some members of the education community who pushed hard for the 15 percent rule, which they argued would keep students motivated to take the test. Bill Hammond, the president of the Texas Association of Business, a fierce proponent of school accountability, said that such a broad scoring method undercuts the original intent of the legislation establishing the new tests. “It's completely ridiculous, and in our opinion, we strongly support the test, and now they are going to be given in a way that won't matter, the kids will figure this out and it will not raise the standards, which is what we are trying to do in Texas,” he said. The Texas Education Agency, which is responsible for overseeing the rollout, has kept out of the fray, saying lawmakers did not give it the authority to set conversions in the 2009 law that established STAAR. Hammond said the lack of enforcement from the state agency has opened the door for districts to game the system. “Why would the schools who are supposed to be raising standards be lowering standards saying that the final exam essentially does not count? Not only does it not count for those who are doing badly, there's no differentiation between those who are doing reasonably well and those who are doing extremely well,” he said. “It's grossly unfair to the students." Suzanne Marchman, a spokeswoman for the agency, which has dropped a third of its staff over the past year to absorb a 36 percent budget cut, said that it had no plans to offer further guidelines to districts on how to apply the rule at this time. At the time, lawmakers, who with the new accountability system are attaching a state mandate to school grading policies for the first time, were reluctant to further limit local control. During the last legislative session, they cut $4 billion in general revenue from public schools and wanted to avoid any appearance of further burdening schools — especially as the budget cuts prompted many superintendents to push for delaying the rollout of the new system, whose complexity led one school chief during a committee hearing to dub it the "FrankenSTAAR." On Jan. 23, the House Public Education Committee will hold an interim hearing on the implementation of STAAR, including how districts are applying the 15 percent rule. Committee Chairman Rob Eissler, R-The Woodlands, said he was aware of the concerns about the variety of methods that school districts were using to calculate the scores.